kristy.makes: books: lost voices, the loom, dirty parts of the bible & fire burn & cauldron bubble. books: lost voices, the loom, dirty parts of the bible & fire burn & cauldron bubble. i'm pushing aside the negativity & trying to move forward. i still can't talk about 'the situation' & don't know that i ever will be. that's the reality of blogging. some things are just not 'right' to share. and i get that. just makes it difficult to blog when that's all that's on your mind. i've struggled through the last two books i've read. they've been good, don't get me wrong..
i just didn't get sucked in, like i do with most books. they are STILL worth the read. i should mention... these were ALL free books on kindle. if i haven't mentioned it before, i recommend browsing the kindle free books EVERY.SINGLE.DAY. and don't discount books or authors you've never heard of. some of my favorite books this year have been from unknowns. and if i'm not mistaken, most of them have been from self-published authors. also, i'm not the literary police. i do despise bad grammar, and poor spelling..
but if the story gets my attention, i pay little attention to the structure/character development. if i like it, i say so. if i don't, i say so. An entirely new book concept for me. I've never read, nor had the desire to read about mermaids. This was one of those books I picked up for free on Kindle, and the description peaked my interest. A story about a young girl named Luce who has essentially been dealt a crap card in life. Her mother dies when she is an infant, and she is raised by her criminal father, living a life on the run, until they move to a small Alaskan fishing village to stay with her Uncle. Her father cared for her deeply, and she is devastated by his death at sea, which happens prior to the books beginning. Upon his death she is left with her alcoholic uncle, who abuses her. Luce finds herself the target of her uncle's alcoholic rage one night, and it's then that her life changes forever. It's then you find out that mermaids do exist, and that their transformation is a result of the treatment they received in life. 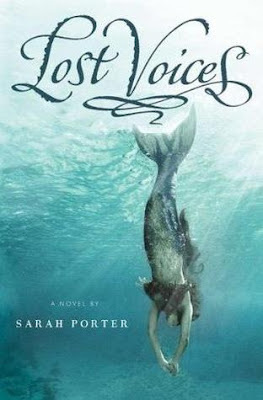 Luce becomes a part of a tribe of mermaids, who sink ships full of humans for entertainment, and as a form of punishment to all of human kind for the way they treated these girls in their past life. But Luce has a hard time coming to terms with the the fact she is supposed to hate all humans now based on the actions of a few bad ones. It was an interesting concept, but I felt like the story stalled out before it ended. I kept waiting for a climax, a turning point, something. You get snippets of how others come to be with the tribe after Luce, but you never get to know them, something I think would help the story along. There is a second book to this series, and although I haven't read it yet, I know I will, just to see what happens to Luce, who I came to respect & care for. I hate to say this.. but I almost feel like the story was dragged out, just to create a second book. It almost certainly could have been wrapped up in one book, but that's just my opinion. This book was....sad. It was heartbreaking, and somehow still beautiful. Shella Gillus crafts a tale that draws you in and holds you captive. Much like the individuals in the Loom Room, she weaves together words that take your breath away. Her descriptions are simple, yet so powerful, I found myself highlighting half of the book. 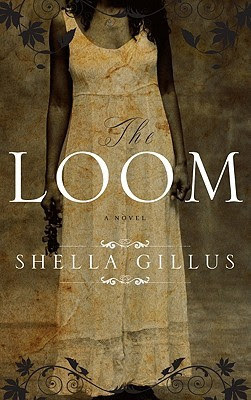 A story of a young slave girl, and how she finds love, and longs for freedom, "The Loom" is truly a story of how even those individuals who are 'free' are still bound by something. Definitely a thought-provoking read I would suggest to anyone who truly likes a good story, that will inspire you even in it's saddest moments. 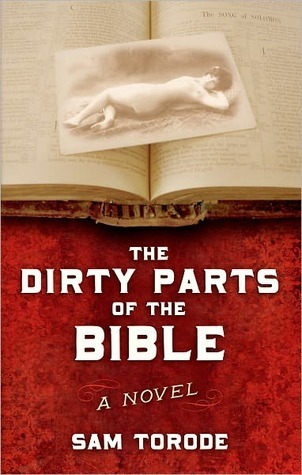 I have to say, although it took me a bit longer to get through than most books, I thoroughly enjoyed 'The Dirty Parts of the Bible'. It is apparently a retelling of the Jewish tale of Tobias & Sarah, but I am not familiar with that story, and enjoyed this book just the same. I laughed out loud several times throughout the course of the book & found myself sympathizing with Tobias when he struggled to understand things he'd been taught about God & religion through the Bible. With all this said, I'm not a particularly religious person, and I still very much enjoyed the story. The author certainly does a fabulous job of getting you into the mind & life of Tobias Henry. A must read for anyone who could enjoy a story maybe not like 'Water for Elephants', but in the same setting of the Depression Era, trains & hobos. After a succession of books about heavy subjects (child abuse, slavery, & religion) I needed to read something light and entertaining. 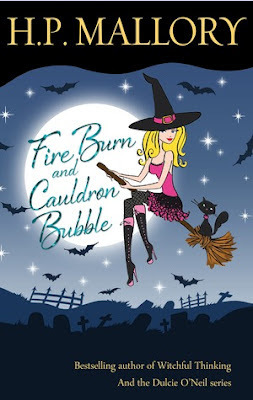 I picked up 'fire burn & cauldron bubble' for free on kindle a few weeks back (it's still free as of yesterday), and decided it was the right time to read it. I was immediately sucked into the story line. It's apparently considered a paranormal romance, although there wasn't much in the romance department in my opinion. (At least compared to other paranormal romances I've read) Jolie Wilkins owns a little shop where she capitalizes on her ability to see aura's & read tarot-cards. Now & then she has a vision or two, but as it's been something she's been able to do most of her life, she doesn't think much about it. Along with her friend Christa & her cat Plum, she lives a relatively mundane life until one evening a ghost shows up in her shop. She's never been able to see a ghost before, and now this one says he's been sent to visit her. Shortly after her ghostly visit, a handsome man, with a delicious British accent appears in her store & asks to have her read him. She's instantly drawn to him, and into a world she never imagined before. She quickly learns that reading auras & having visions are just a small part of the magical abilities she possesses. Rand, the handsome British warlock takes her under his protection, and from their an entirely new life unfolds for Jolie. The first of five books, I'm telling you, I just could not put it down. I'd describe it as a Sookie-esque series. Jolie is a blond, slightly curvy, self-doubting witch. She cracks jokes on her own behalf, and has an internal dialogue that makes her extremely likable. If you are down for a good paranormal read just for fun, I'd definitely recommend this one! here's to good books & positive thinking. Hi Kristy! I emailed you the Crunchy Asian Broccoli Slaw recipe. I hope you got it!